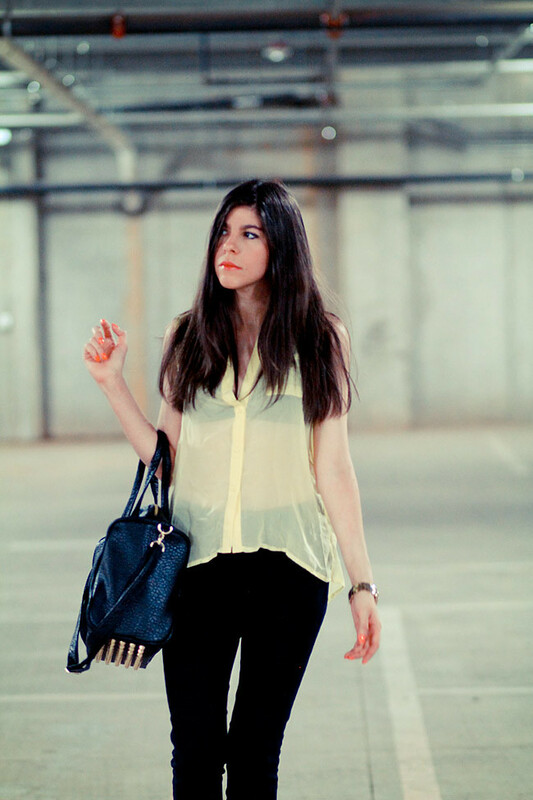 Before the cold front settled in, literally just a handful of days earlier, I was sporting a sheer, sleeveless blouse in the prettiest pastel Yellow. I paired it with black stovepipe jeans and this new studded "Rocco" duffel bag from Sweden. I felt like adding 6 inches to my frame, thus the Balenciaga platforms (that to this day I still pinch myself when wearing them) I never thought I would ever find them. Let alone in my size! !